LMI Technologies (LMI), a Delta-based developer of 3D scanning, measurement, and data visualization technologies, announces the official release of the next version of its 3D scanning software, FlexScan3D 3.3. 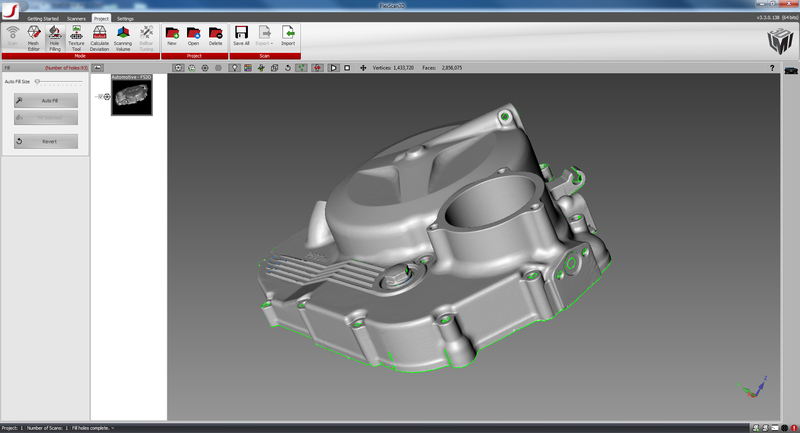 This proprietary software is the 3D scanning engine that powers the company’s line of HDI 3D Scanners. FlexScan3D 3.3 includes new features that optimize the 3D scanning workflow from capturing scans, to building scans into a digital 3D model, to cleaning the model with new advanced post-processing capabilities. Easy Scan Automatically Determines the Best Exposure for an Object – When capturing 3D scans, users typically need to manually set the best exposure for an object to get optimum scan results. This process would require the user to set the exposure control that can lead to under or over exposure. With the Easy Scan smart exposure control feature, FlexScan3D automatically determines the best exposure for an object to get quality scan results every time. Cut Plane Simplifies 3D Model Building – Using the Cut Plane feature, users can capture cleaner scans with the HDI 3D Scanner during the scan acquisition stage. FlexScan3D software permits users to define a background plane and eliminate it automatically in all subsequent scans, capturing only scans with the target object. This drastically reduces the amount of time to clean up scans during the post-processing stage. New Advanced Post-Processing Capabilities Include Interactive Hole Filling and Creating Water Tight Models – In addition to its powerful 3D capture capabilities, the LMI development team continues to improve FlexScan3D’s advanced post-processing capabilities. A major development in this version includes interactive hole filling that allows users to select a hole or a region for hole filling. Users can control the process by specifying hole filling parameters. The result is a 3D model that is water tight–no holes, gaps, or openings–ready for export and use. Starting today, the HDI 3D Scanners are available with the latest version of FlexScan3D 3.3, including the HDI Advance and the HDI 120. This version now supports languages including German, French, and Chinese in addition to English. LMI Technologies will feature the HDI 120 3D Scanner with the new version of FlexScan3D 3.3 at Control, the world’s leading trade fair for quality assurance, in Stuttgart, Germany on May 6-9, 2014. This entry was posted on Tuesday, April 15th, 2014 at 6:34 am and is filed under Digital Products, National News, New Releases, Peripherals, Software. You can follow any responses to this entry through the RSS 2.0 feed. You can leave a response, or trackback from your own site.